Ellen is having one hell of week. It’s the first week of the 13th season of The Ellen DeGeneres Show, and the comedian and host is already pulling no punches. There are no casual guests this week. No authors touting books for sale, or supporting actors talking about B projects they’ve been working on. No time for rest, even though she’s 13 years deep into this hosting gig. Instead, it’s pure solid gold this week for DeGeneres and her daytime talk show. For starters, her show is debuting a new theme song, performed by none other than multiple Grammy award-winning artist Pink. Forget about those kitschy talk show bands. 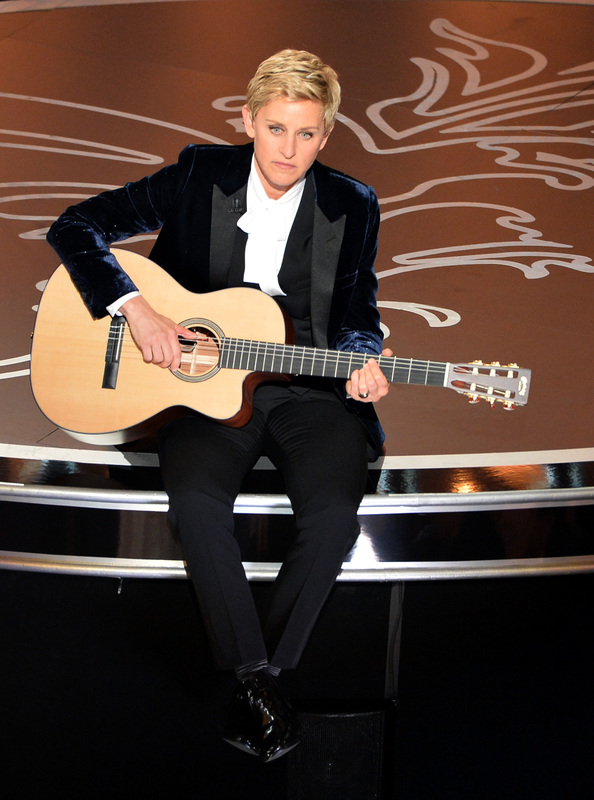 DeGeneres is going straight for the big stars when it comes to finding a new tune for her show. The song, entitled “Today Is the Day,” will be performed live by Pink on Sep. 10, but the new music is just the beginning of a long list of awesomeness slated for the host's first week back on the air. In addition to some awesome new beats for DeGeneres to dance to, the host has lined up a doozy of guests for the beginning of her 13th season. Considering the fact that she has already had pretty much everyone and their uncle on her show, who could she possibly have on this week that would be so impressive? Caitlyn Jenner, for one. DeGeneres will host the reality television star on Tuesday’s episode, where they are rumored to be talking about Jenner's transition into presenting as a woman and her changing stance on marriage equality. Considering that this is Caitlyn’s first live interview, I’m expecting a great conversation, and hopefully a few practical jokes? But, just in case you’re not impressed by reality TV stars/former Olympians, Hillary Clinton will join DeGeneres later this week. The former first lady — and the woman running a hard race to become the first female president — will sit down with DeGeneres for her first interview of her presidential campaign. I’m hoping for a surprise appearance by Bill and his infamous saxophone. And, as if all of that weren’t enough, DeGeneres will also speak with Malala Yousafzai, the advocate for women’s education in her home country of Pakistan, and the youngest recipient of the Nobel Peace Prize. Like, ever. Talk about a doozy of a premiere week. DeGeneres is taking no prisoners in the daytime talk arena. In fact, her first week’s lineup is enough to blow any competition right out of the water. And I’m totally all for it. You know where you can find me during the four o’clock hour for the rest of this week.